In my previous post, I shared what I experienced during my first Personal Quarterly Offsite. Leading up to it, I had started to recognise some signs that indicated I really needed to take a break. 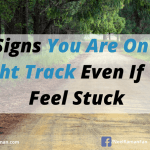 Knowing how to recognise those signs is vitally important because they provide feedback to us that things are off track or not going right. Those signs are an invitation to do something different otherwise they could become much bigger issues down the track. It is worth remembering that we all have our ups and downs. Often, the things we learn about ourselves when we’re down are much more beneficial than what we learn while things are good. 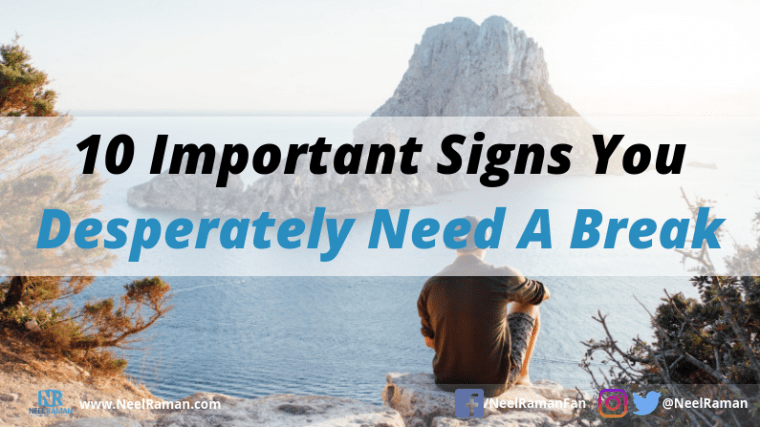 Here are ten signs to lookout for that may be indicating you desperately need to have a break. It simply could mean you need to allow yourself to relax and add a little more fun into your life, as suggested in this post. You start skipping your rituals or habits. 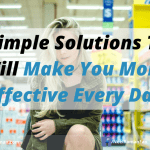 I’ve written about the importance of habits in a previous post as we are creatures of habits. If you notice yourself skipping habits like not doing regular exercise or not eating at specific times, those are an early indication that things are not going well. Skipping meals consistently because you have work to do is not a good thing. You wake up in the middle of the night thinking about all the things you have to do. This is a sign that you have too much on your plate or you haven’t got an effective system for managing your tasks. If you can capture the things you have to do, then there really shouldn’t be a need to be using up mental energy thinking about it over and over. You get frustrated easily. If you find yourself getting agitated easily or venting a lot, it’s a sign external conditions or circumstances are affecting you. The remedy is to practice letting go of those emotions, which can be done through releasing techniques or meditation. You are constantly focused on what’s missing in your life. It is easy to focus on what’s not working or not right. We all face challenges constantly and everyday, we have the choice to get sucked into what’s missing or we can choose to focus on what’s actually going right. Practicing gratitude daily is a great practice to put things into perspective. You are attracted to negative conversations. Again, if you’re feeling frustrated, it is much easier to start complaining, whining and get drawn into negative conversations. This post addresses how to avoid negativity. Your work lacks purpose or meaning. This can be a big one especially if you don’t love the work you do. If you’re on a downward spiral, then the things you actually enjoy about your work can be hard to find. The fix here is to actually do work you love. If you don’t love the work you do, then maybe it is time to make the transition to doing what you love, as outlined in this post. You suppress your feelings. How we feel each moment is one of the most beautiful things about being human. Our feelings provide valuable feedback whether things are going well or not. If you start to numb out how you feel regularly, it is a sign that there is something you have not being willing to face. It’s time to build up the courage to address it rather than continuing to ignore it. You start to hold grudges against people. If you think someone has done something wrong by you and start resenting that person, again it is a sign that there is an unresolved issue. Instead of ignoring it and continuing to hold a grudge, it would make sense to straighten your issue out either directly with the person or asking for help on how to deal with it. You do not behave as you normally do. We usually know how we behave or should behave, and when we deviate from it, that’s telling us something is not right. If you find yourself being rude or behaving out of character, maybe you need to speak to a mentor or trusted advisor to help get you back on track. You compare yourself to others more than usual. Let’s face it — we’ve all compared ourselves with others. And the end result? We either thought we were better or worse off than the other person. All that does is create separation from others. 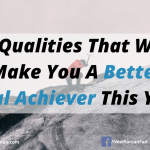 Rather than comparing yourself to others, do a self assessment. Evaluate where you currently are in relation to where you have been and where you want to go. Each day, we receive feedback via our thoughts, emotions and behaviours whether we’re on the right track or not. The key is to be aware of signs that may be taking us off course and make the necessary adjustments to get back on course. Do not ignore these signs because they can be the trigger for you to do something different. Action Step: Conduct a self assessment in order to determine whether you are experiencing any of the above signs. If you are, start making changes you know you must to make things right again. Question: What is another sign that may indicate we really need to have a break? Yes!!! Exactly those times we feel as though we can’t afford to take a break… We need one! Wonderfully though-provoking list. Thanks, Neel!